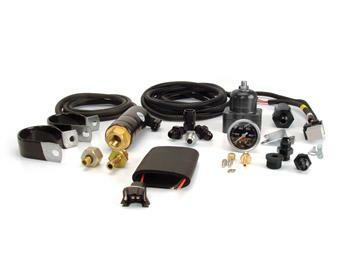 FAST EZ EFI Retro Fit Fuel System UNIVERSAL - Dezod Motorsports Inc - Home of the automotive performance enthusiast since 2002. Whether you want to install a new inline fuel pump, or retro-fit an in-tank pump into a fuel tank that was originally manufactured without a pump, FAST™ has an easy solution for you. All FAST™ fuel pump kits are designed specifically to work seamlessly with EZ-EFI systems, flowing the right amount of fuel for the application. Each kit comes with everything needed for installation.